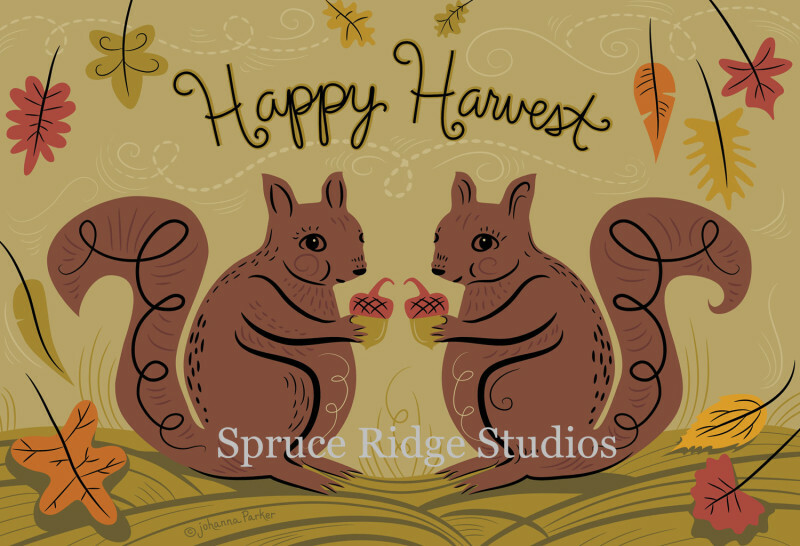 Falling leaves, acorns, and perky squirrels are the perfect combination for a Harvest rug! Brown tweeds and nubby woolens are perfect textures for the squirrels. Play with rich reds, golds, and burnt orange for the autumn leaves.